Made from tough, durable material, pads are offered as a great absorbent for preventive measures, large clean ups, and quick clean ups. Several styles are available from oil only, universal, and chemical material applications. 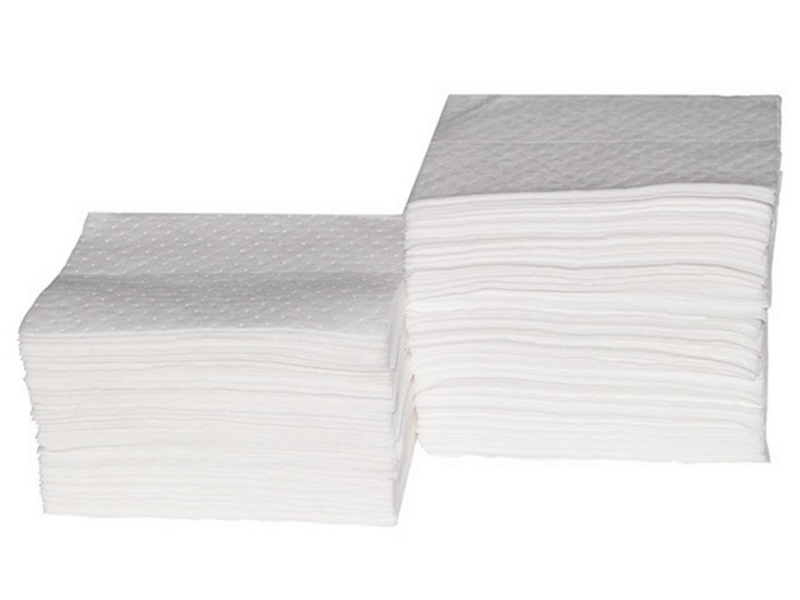 Absorbent Pads are offered in light-weight, medium-weight, and heavy-weight thicknesses. 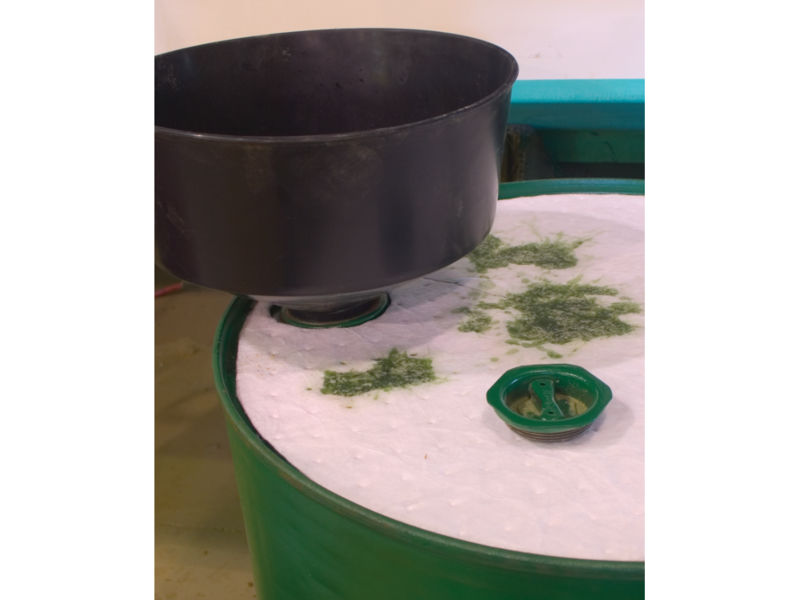 Drum Top Covers conveniently fit on the lids of drums to absorb any leaks and spills. Pre-cut holes make it easy to apply this to the drum. Each pad is constructed of durable polypropylene material. 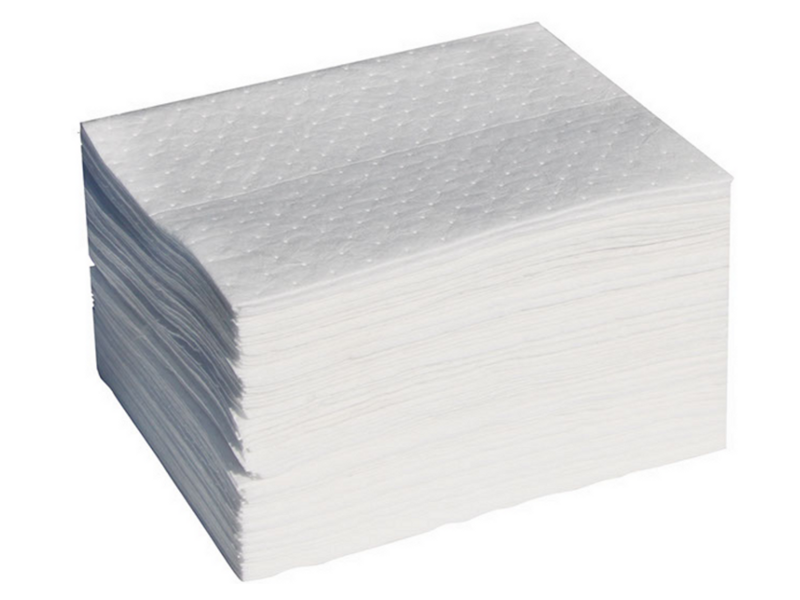 Our most popular pads are Melt Blown and Sonic Bonded. 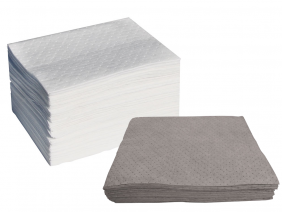 Questar can also supply Static Resistant, Laminated, and Fine Fiber Pads as well. Multiple colors are also available. Our pillows are a perfect solution for absorbing spills or leaks that are too dense for pads. 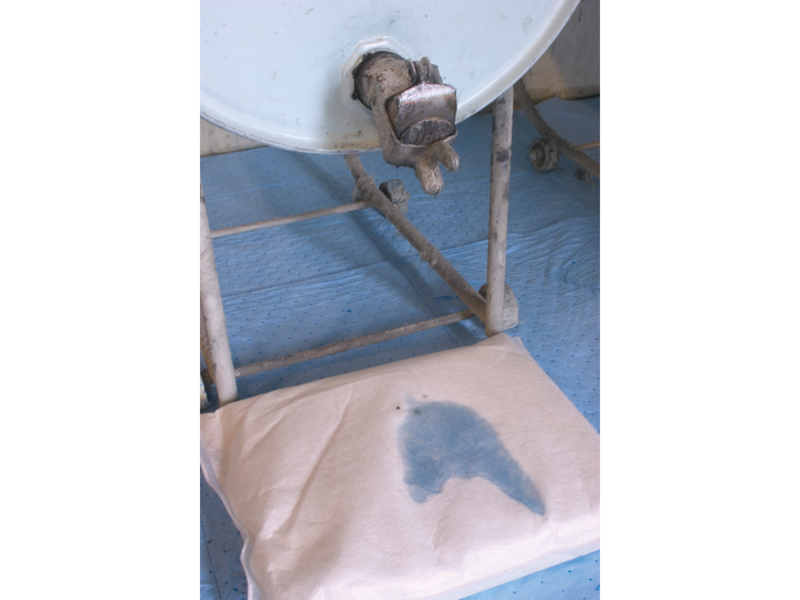 Optional drip pans are available to place the pillow in. This comes in handy in an emergency situation to put under leaking equipment. 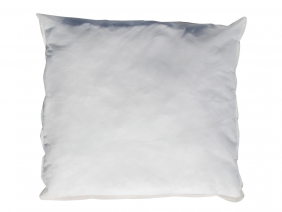 Pillows are available in universal and oil only. Smaller and larger sizes are available as well. 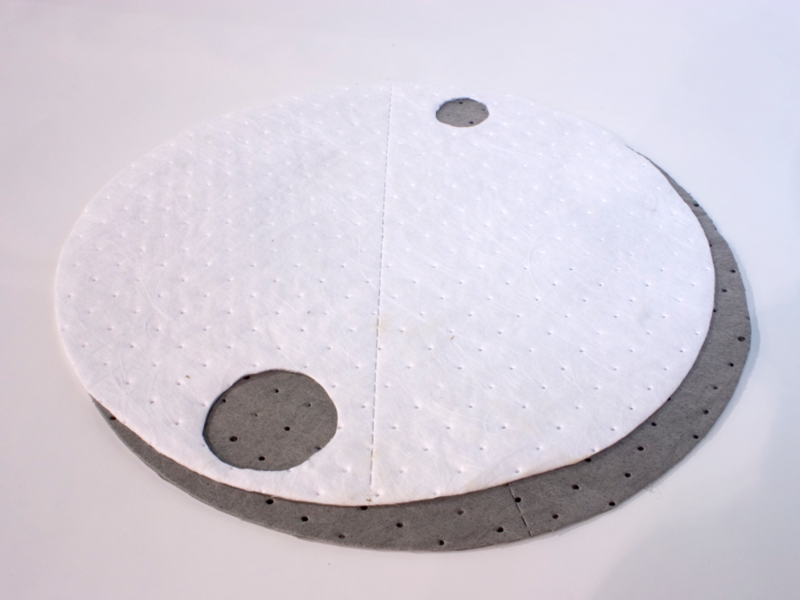 The chart, and pictures illustrates the pads & pillows that are stocked with their size, style, color, and shipping break-out. 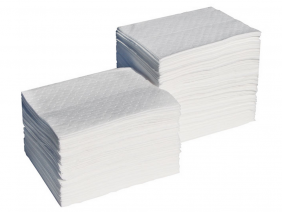 Additional Absorbent Pads are available upon request. EAP100 15′ ‘ X 19′ ‘ Medium Weight Oil Only Pad White 100 24 9 lbs. 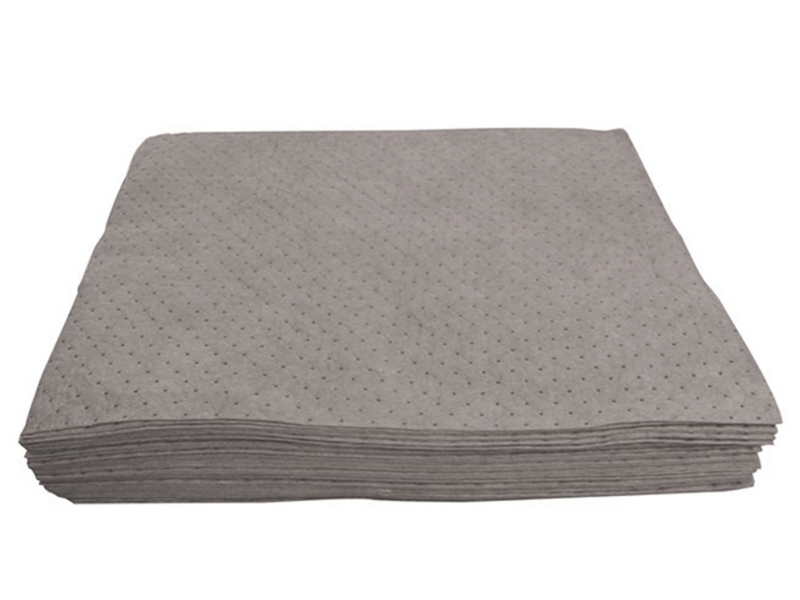 EAP1000 15′ ‘ X 17′ ‘ Heavy Weight Universal Pad Gray 100 30 8 lbs. 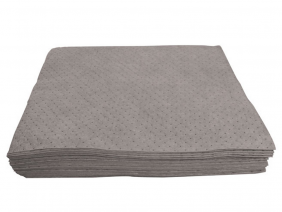 EAP25W 20′ ‘ (D) Drum Top Cover Oil Pad Gray 25 72 15 lbs. 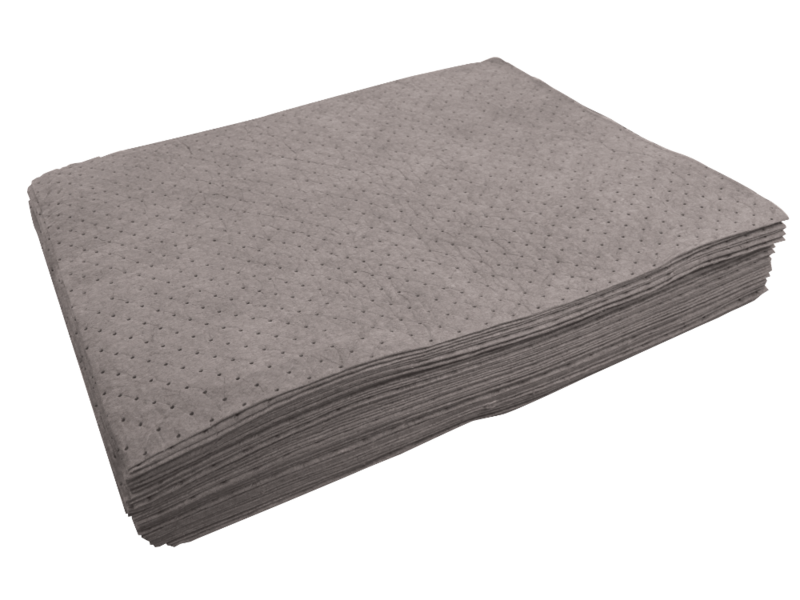 EAP25 20′ ‘ (D) Drum Top Cover Universal Pad Gray 25 72 15 lbs. 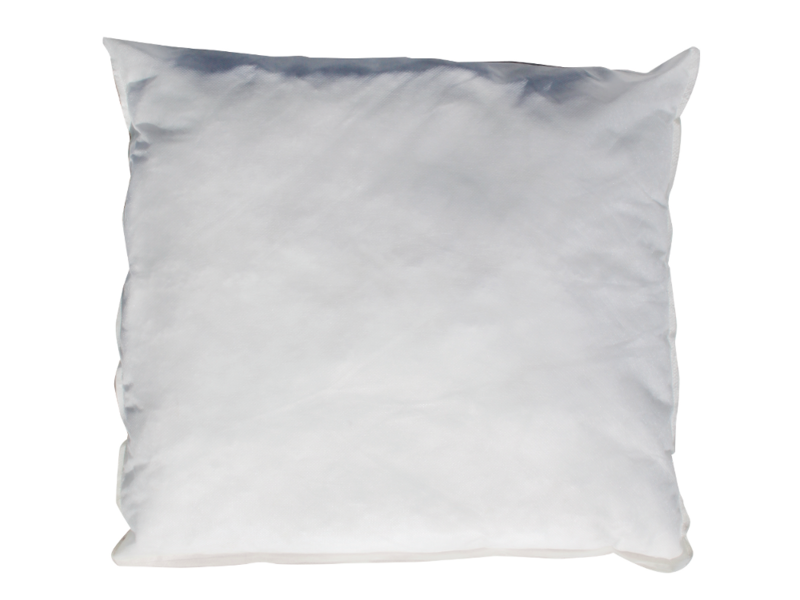 EAP1010W 10′ ‘ x 10′ ‘ Oil Only Pillow White 40 16 25 lbs. 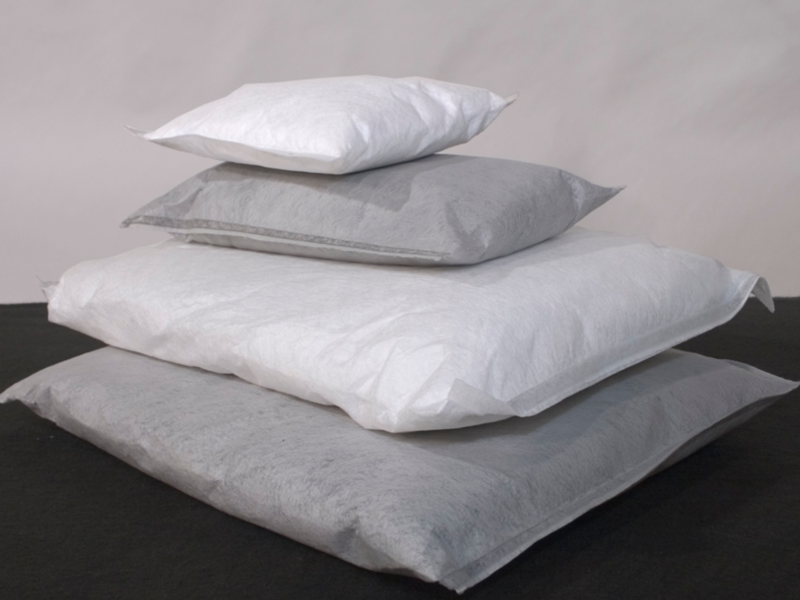 EAP1010U 10′ ‘ x 10′ ‘ Universal Pillow Gray 40 16 25 lbs.